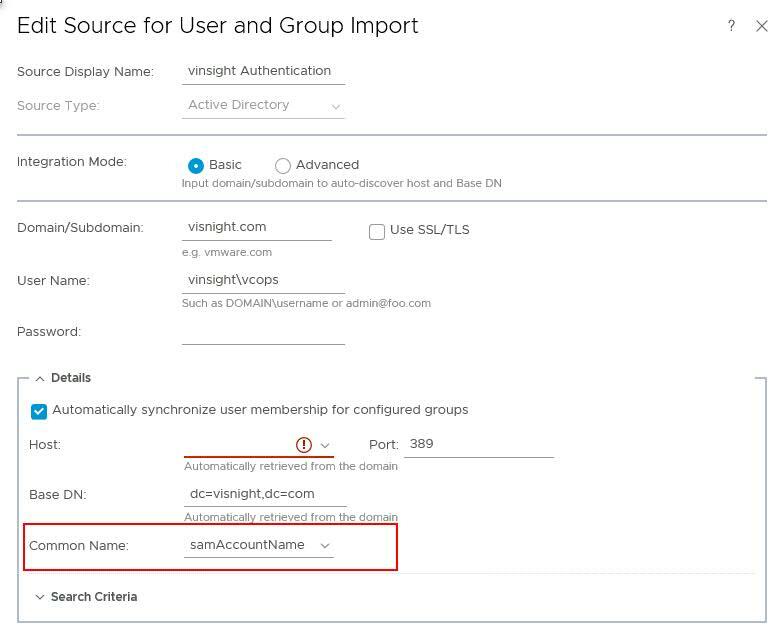 Alright!, Last week I was working on vRO and noticed that during AD authentication, I had to use complete email ID as user ID rather a small name which we have coinfigured as Account Name in Active Directory. My situation was like this. 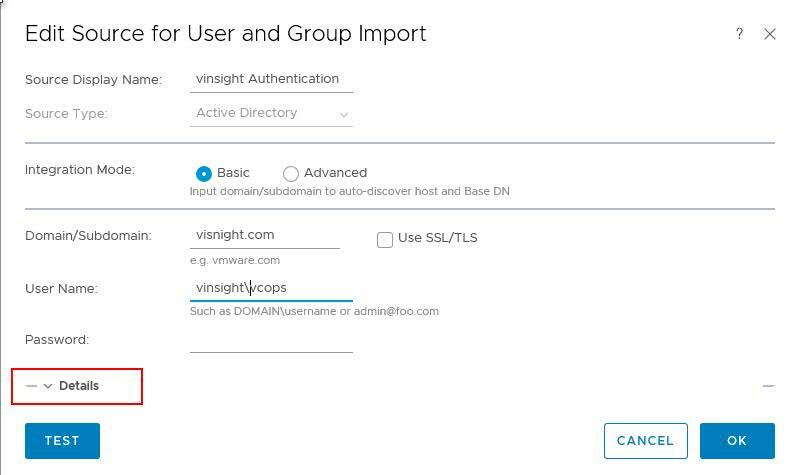 Configure vRO to use AD Account Name as User ID. Login to vRealize Operations Console https://<IP_Address_vRO>/ui/login.action using admin credential. Click on Administration Menu and expend Access in left Panel. Select Authentication Sources and select AD Source which you have integrated earlier. If not added earlier then Click on + icon and add AD Source. To Edit AD Source, Click on pencil icon in right side. In Source window, Click on Details highlighted below. Here you will get two options(samAccountName & userPrincipleName) in Common Name drop down menu. You need to choose Common Name as samAccountName if you want to login using short account nam erather email ID.